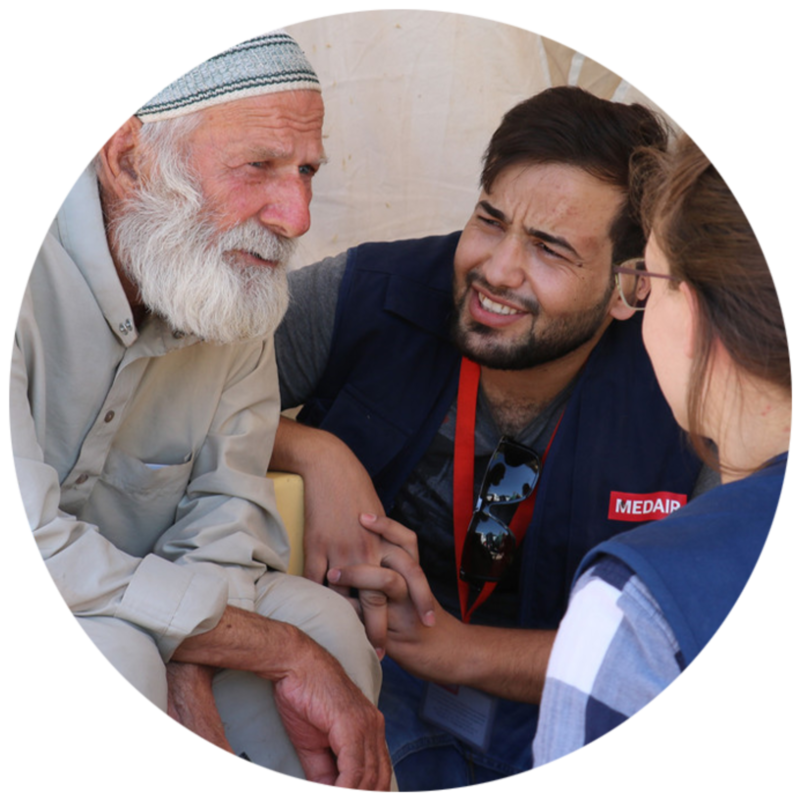 We bring relief to people suffering in hard-to-reach places. 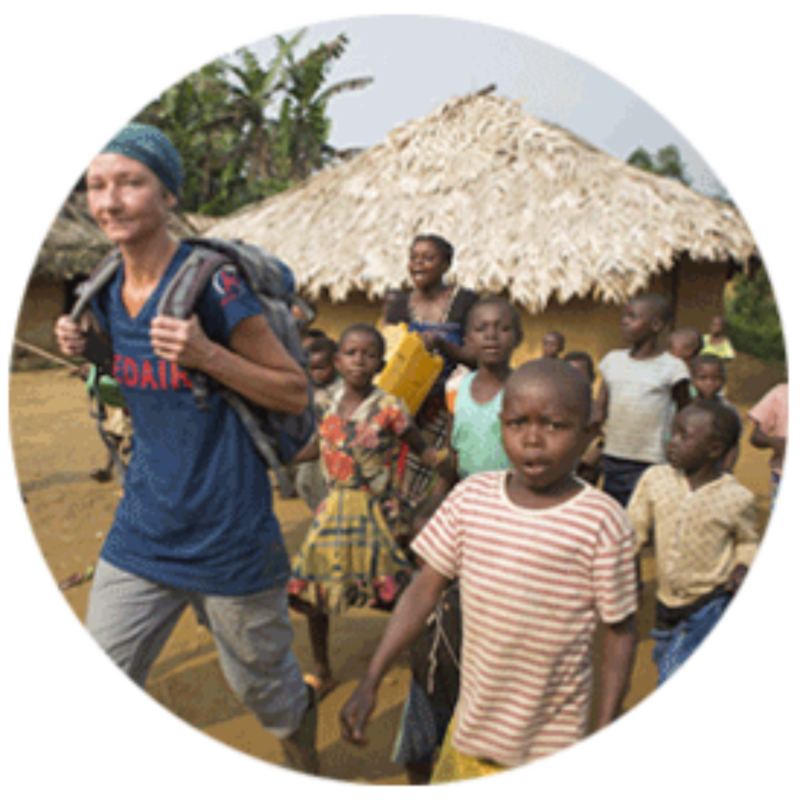 Medair is a humanitarian organisation inspired by Christian faith to relieve human suffering in some of the world’s most remote and devastated places. Since 1989, we’ve been helping families in crisis around the world—regardless of race, creed, or nationality–survive and recover with dignity. Reaching the forgotten. Saving lives. Strengthening communities. Our core values are what unite us together around a common mission. They shape what we do and how we do it. We strive to live out our values and principles consistently at every level of the organisation, and in every location – from the remotest team to the international headquarters. Our desire is that as we work together in teams, our attitudes, words, and actions will be true to Medair’s vision and character. We seek to bring hope to people devastated by crisis and caught in apparently hopeless situations. Together with the communities we serve, we strive to make sustainable improvements and increase their capacity to build a better future. 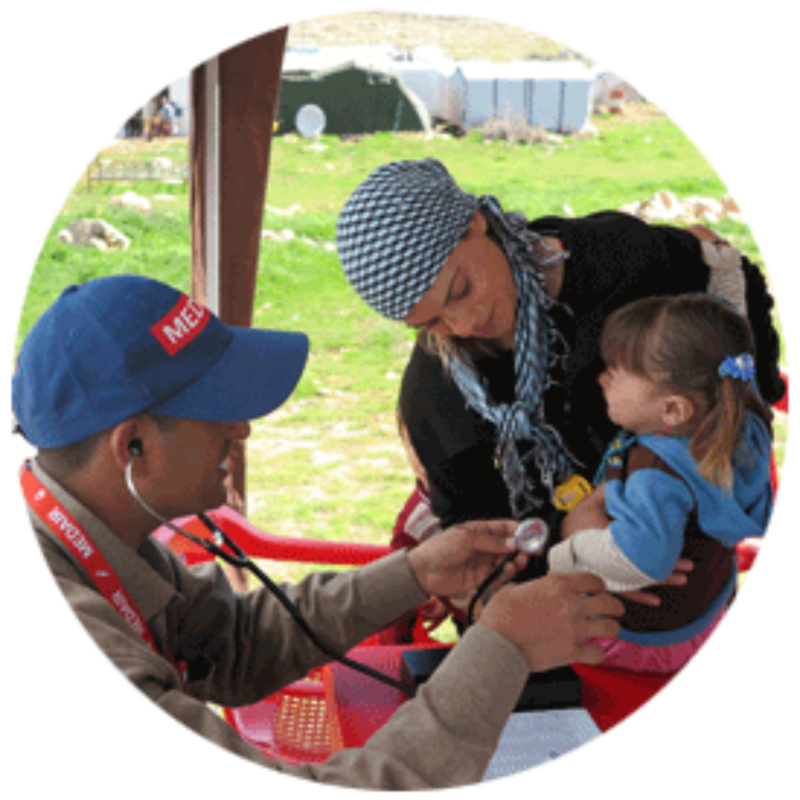 We desire to relieve human suffering in times of crisis, disaster, and conflict. We seek out people who are the most vulnerable, come alongside them and offer practical support through relief and rehabilitation initiatives. We are committed to employ best practices in our management and operations, pursuing excellence in all we do. We make ourselves accountable to our supporters, our staff, and those we serve, and seek input from them to help us improve our activities and procedures. We believe that each person has been made in God’s image and is therefore uniquely valuable and worthy of the highest respect. Consequently, we reach out to all those in need, irrespective of their race, gender, religion, age, or nationality. Wherever possible we personalise our assistance, taking individual needs and circumstances into account, and respecting the dignity and independence of the people we serve. We are motivated to care for those who suffer because we follow Jesus Christ, who taught us to love God and to care for those in need. Our faith inspires us to give our best in all circumstances. By faith we pray for wisdom when facing difficult decisions, and for courage to live and work in demanding and often dangerous situations. 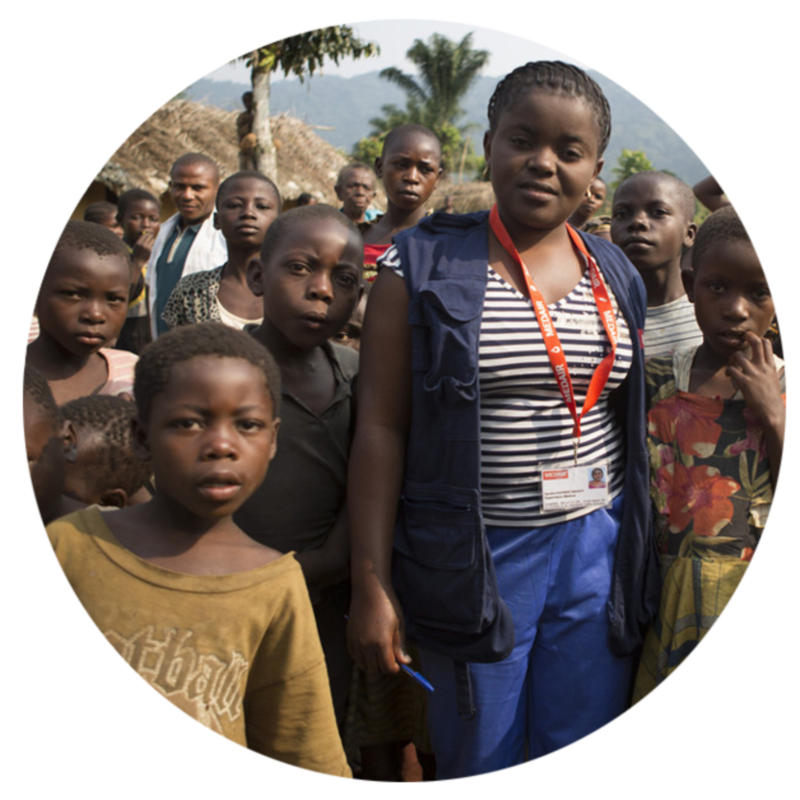 We employ experts in the fields of health and nutrition; shelter and infrastructure; water, sanitation, and hygiene; and cash assistance to assist families in meeting their basic needs quickly during crises. Then, we stay to help people recover from crisis with dignity and safeguard against future disasters. wherever possible to personalise our assistance to the individual needs of the people we serve. Last year, we served 2.1 million people around the world. 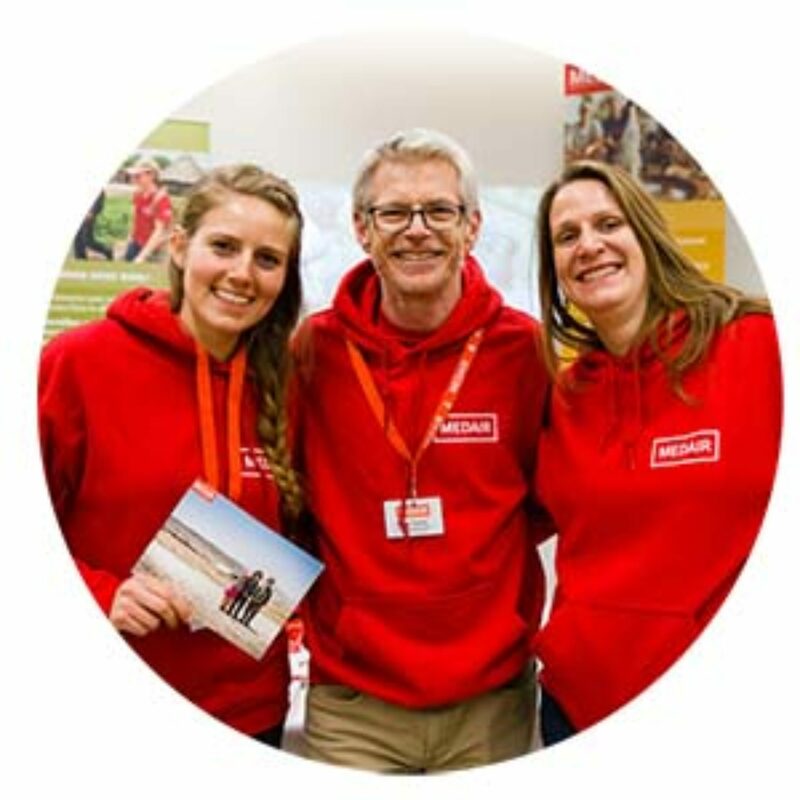 Medair's staff consists of more than 1,400 team members worldwide. While a large number of our team members are recruited internationally, three-quarters of our staff are nationally recruited and serving right where they are from.